Brand new MicroSD memory card. Compliant with the SD Specification Version 2.00. 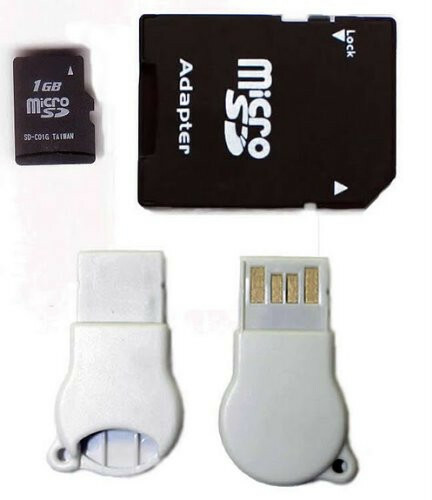 Versatile - when combined with the adapter, can be used as a full-size SD card. 1GB storage for more music, videos, pictures, games, and applications. 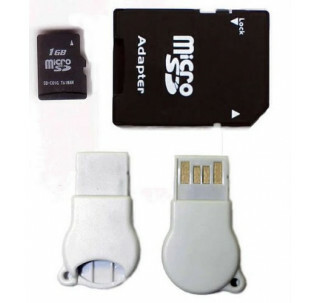 Compatible with microSD host devices. Lifetime Warranty.